Best Reasons for Long-Term Care? 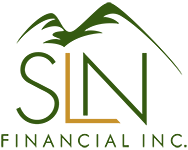 | SLN Financial, Inc.
Best Reasons for Long-Term Care? Not the most exciting topic, long-term care (LTC) is often avoided or overlooked by people when planning their retirement years. However, it can be one of the most important things to have later in life. Having an LTC policy in place can save your family a lot of time, stress, and money if you were ever to need assistance. Here’s three reasons to give LTC a serious look. 1. You get freedom of choice. When you first buy LTC insurance, you’re in a solid state-of-mind where you will be able to choose the quality of care you receive, as well as how and where you receive it. Without LTC or substantial resources, you simply won’t have these choices. 2. Get access to quality care quickly. As you age, you’ll likely start needing assistance with at least a few of the six activities of daily living. Usually, your family or spouse will help you perform these tasks until they’re unable to provide the level of care you need. Without LTC at this point, you’ll start spending your other assets or need to go on a government program. With an LTC plan, you’ll be able to access care faster, while knowing you have the funds to pay for it. That peace-of-mind is something that’s tough to beat. 3. You could end up with a long, costly claim. It’s not something we like talking about, but the reality is that some people may have a costly claim that they could have never afforded without LTC. The executive director of the American Association for Long-Term Care Insurance, Jesse Slome, pointed out one specific case where a woman paid $12,000 in premiums over a few years, and ended up getting $1.2 million in LTC benefits over the next 15 years. In a nutshell: Let’s hope you don’t need LTC - but if you ever do - you’ll be glad you have it. Questions? Give us a call and we can help you decide if long-term care is right for you and your situation.